Our network engineers designs and installs reliable cost-effective networks for companies of all sizes, especially companies with multiple locations and remote users. Our design process begins with information gathering sessions between you and our engineering team. Most often, JoFwi Data and Design sales engineers first speak to IT staff to determine what currently is in place and assess areas requiring change. IT staff do the best they can at delivering a current "state of the art network" to JoFwi Data and Design sales engineers via a series of question and answer sessions and required site visits. At JoFwi Data and Design we say that work is the thing you do, not a place you go. JoFwi Data and Design's remote access solutions allow your employees to use any application, from any location, on almost any device. JoFwi Data and Design has yet to discover a single vendor with what we deem to be a complete remote access solution. As such, JoFwi Data and Design looks at security and access requirements of the user communities to design solutions that include industry standard technologies, from the appropriate vendors to offer a full solution. Today's worker is on the move and requires fast, secure and convenient connectivity when they are away from their desks. 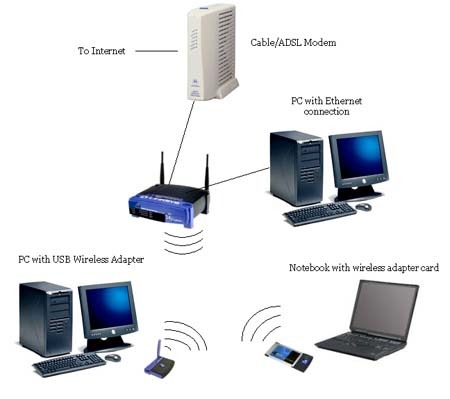 JoFwi Data and Design's wireless certified engineers design and deploy rural broadband as well as corporate wireless local area networks (Wi-Fi) for companies of all sizes, in every business sector. JoFwi Data and Design provides professional guidance to you for new computer purchases or network configurations. We also provide on-site professional support to your staff for everyday computer and network issues. Networks: Server-based (Windows, Netware), peer-to-peer LAN, Intranet, virtualization, terminal services, remote access, electronic fax, shared printing, instant messaging, firewalls, fault tolerance and redundancy, broadband, and wireless solutions. Workstations: All PC, Macintosh, and Laptop Computers, diskless workstations, thin clients, terminals, tablet PC's, netbooks, smartphones, and iPads. Peripherals: Upgrades, memory, hard drives, video, BlueRay, DVD/CD-RW, multimedia, multi-monitor displays, uninterruptible power, modems, automated onsite and offsite back-up solutions. Internet : Web design and maintenance, shopping cart, online payment processing, cloud computing, broadband installation, intranet, VPN, remote workplace, smartphone synchronization, website and email hosting. Experienced engineers preserve your infrastructure investment by upgrading networks, and by providing essential professional network services to keep your network running safely and efficiently.